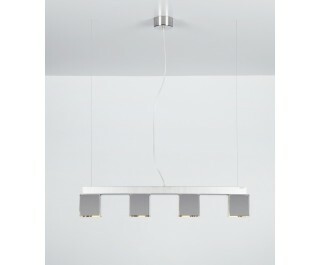 Suspension lamp featuring stainless steel fitting. 4 light linear spot. Lampshades in methacrylate cromolite, gold, opaline white and in spectrall methacrylate. E27 screw. Wire length 150 cm.